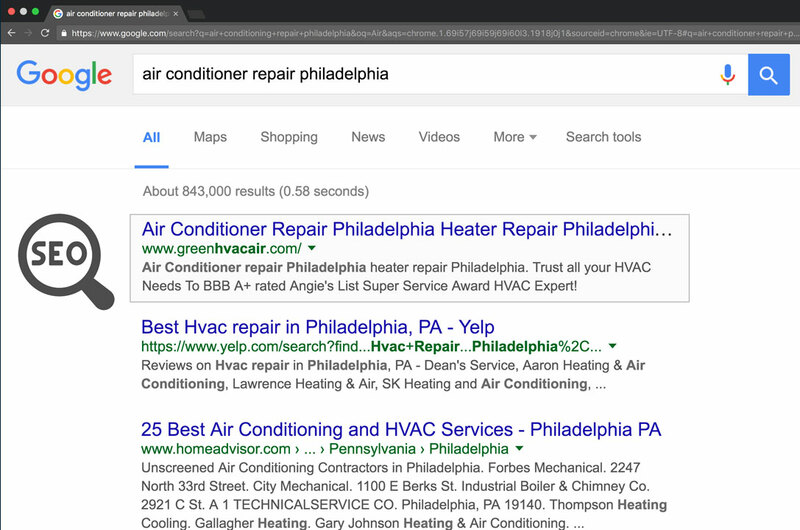 Green HVAC, Philadelphia’s Angie’s list Super Service Award Winning HVAC Contractor, came to us wanting to increase their internet leads. 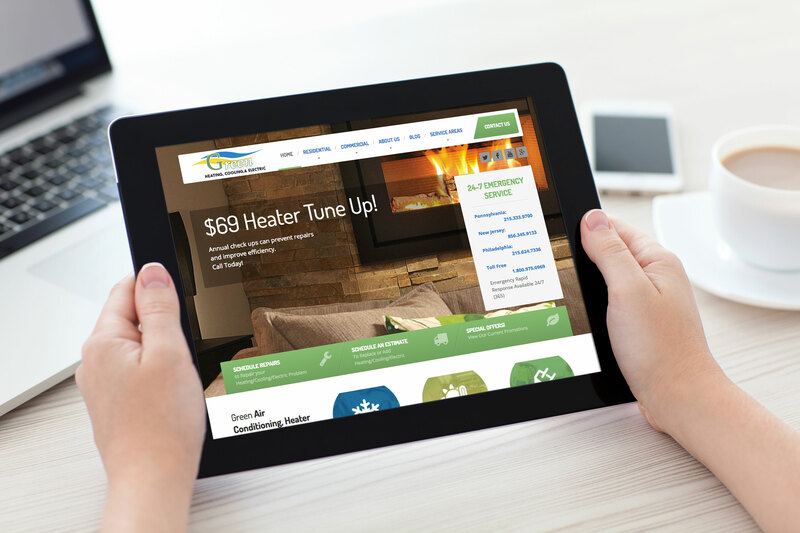 The previous Green HVAC website was designed and managed by a Yellow Pages company and Green was unhappy with the performance, design, follow through and the lack personal attention he was getting with his current marketing company. Green wanted to take a new approach and partnered with Nexvel to help his business reach the next level. Green’s goals were straight forward, increase search engine exposure in Philadelphia, Bucks and Montgomery county, receive a more personal and unbiased approach to marketing, and ensure Green’s brand stands out from the competition. 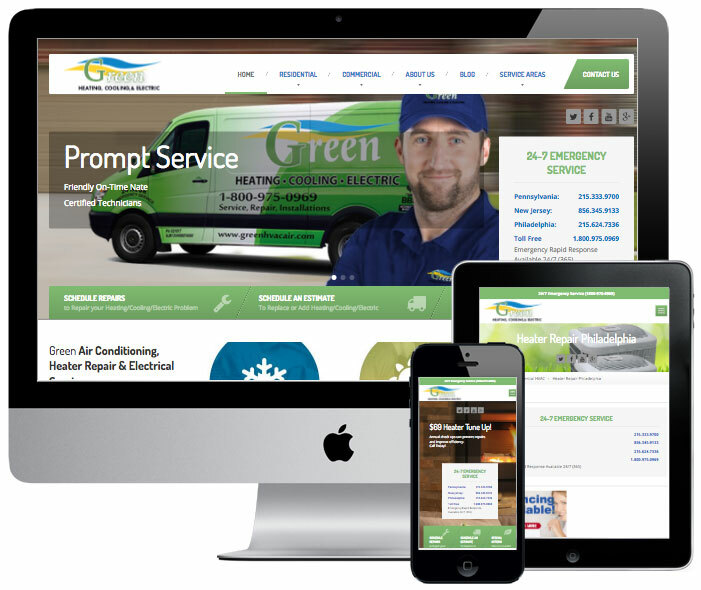 First , we created a WordPress powered website that was more constant with Green’s logo colors and branding. We consolidated Greens other web properties directing all to the main domain. We created an elegant website popup engaging customers to sign up for specials. We developed and implemented an integrated content and SEO strategy that is designed from the ground up to increase traffic and search engine exposure. Since the start of our marketing campaign Green has significantly increased it’s search exposure resulting in 118% increase in organic traffic. Dominating in the search engines in over 223 targeted and keyword related searches. Beyond search engine exposure we helped Green target customers with Direct mail and increased his online reputation by integrating a text message based reviews system for customers to review their service with ease. Today, Green leads the competition in HVAC service brands in both search engine exposure and online reputation.